Since Yuye and I work until fairly late on most nights, sometimes we’d just rather not have to cook. However, surprisingly not many restaurants open after 8:30pm on most nights, especially not around where we live now. Sometimes we have to go on little detours to scavenge for food and often we end up on Glenferrie Rd, Hawthorn. Even then there’s not as many choices as we like. One restaurant that’s fast, cheap and actually open is Humburger. 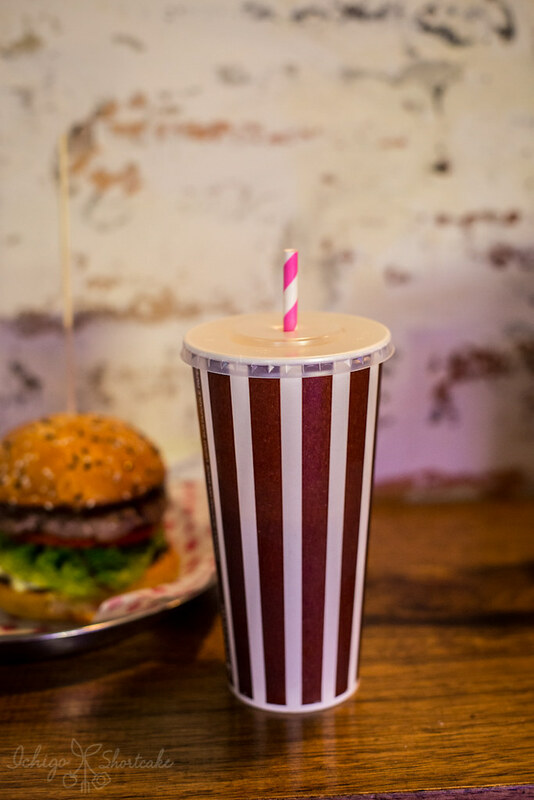 Melbourne is packed full of burger joints at the moment and new ones are opening up all the time. 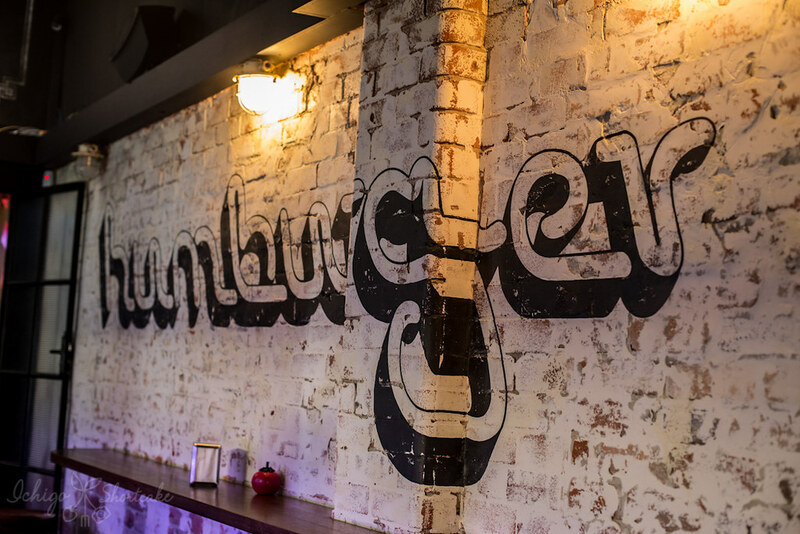 Humburger is one of the newer additions to the burger scene and we think is a good one. Don’t let the small shop front (about the size of Huxtaburger) fool you. They actually have a back room and a garden for you to enjoy your sit down meal. The walls in the back room are covered in what seemed like cowhide. 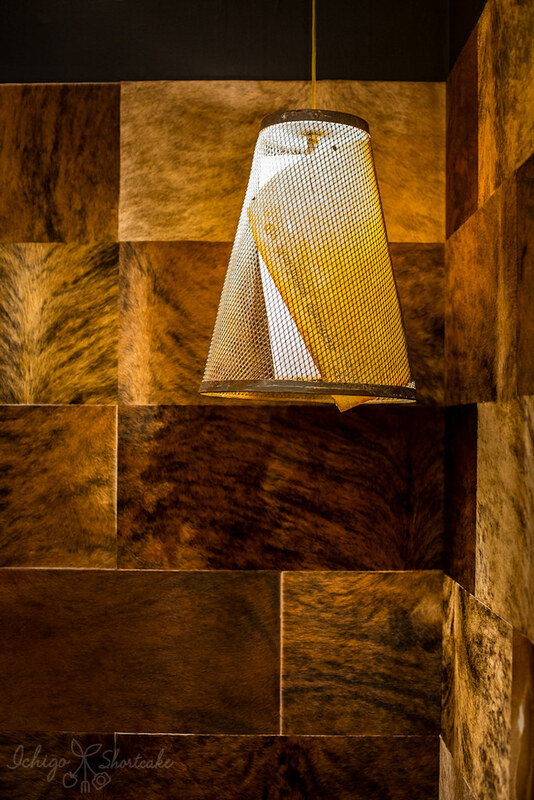 It had a very natural and funky feel to it, although I’m not sure it is all that fitting for a burger joint. 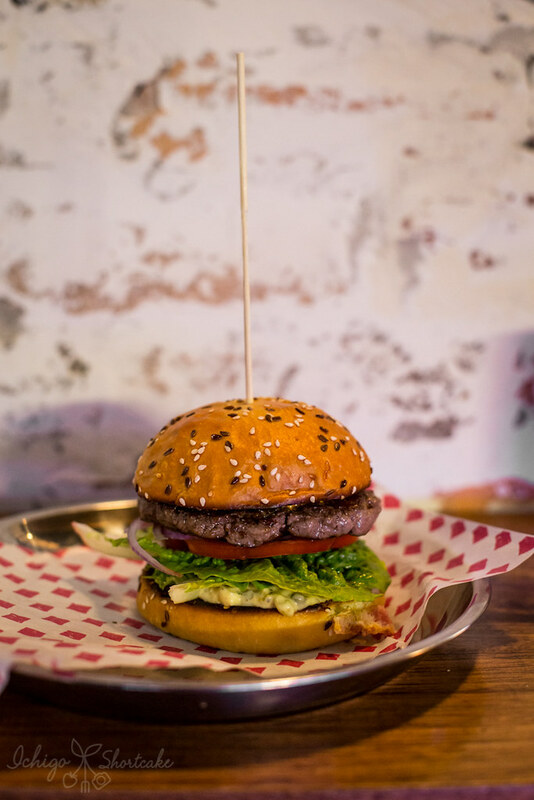 The menu here isn’t big but is sufficient to satisfy any burger craving. 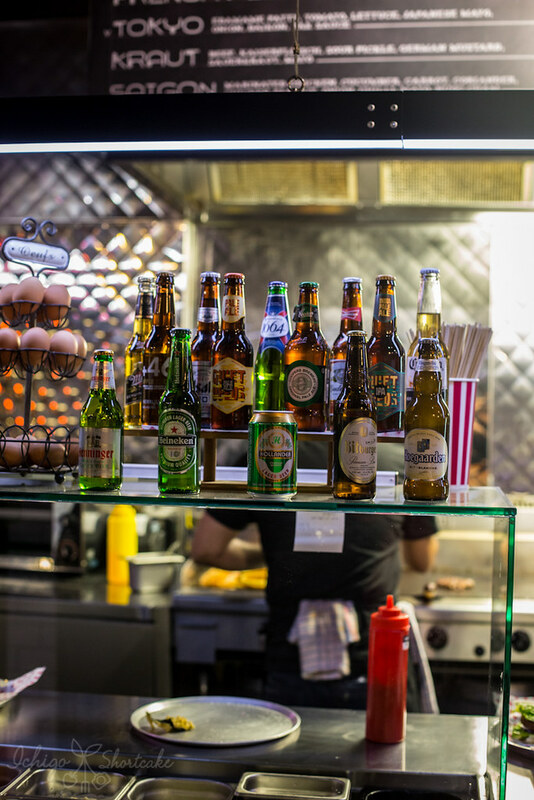 Taking flavours from around the world, you can pick from Melbourne, New York, Frenchy, Tokyo, Kraut and Saigon. It’s not hard to guess what ingredients might make up each other. Yuye ordered the Frenchy which had a beef patty, potato rosti, herb hollandaise, chunky garden mayo and a cornichon ($12). The burger wasn’t the biggest I’ve had so you’d probably need a side to go with it if you were hungry. The brioche bun is soft and fresh (but I still like the freshly homemade buns at Brother Burger). The patty was juicy and still a little pink in the middle, just the way we like it. I did think the potato rosti and double creamy sauces made the burger a little bit too oily. I ordered a Melbourne which consisted of beef patty, spicy mayo, jalapenos, tomato, lettuce, onion and chunky garden mayo ($11.50). 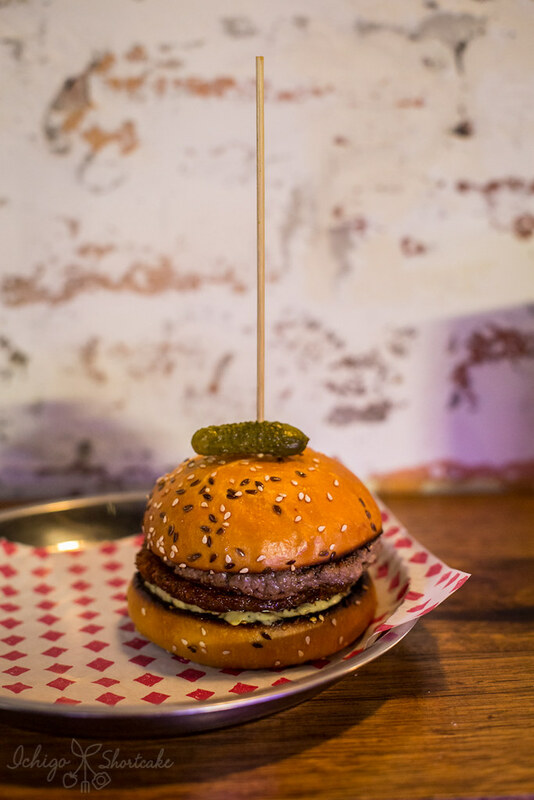 Like the Frenchy, it also has a light brioche bun and a medium rare beef patty which was oh so juicy. I love a little bit of heat so the jalapenos were perfect for me. I enjoyed this burger more than the Frenchy just because it wasn’t as oily. Instead of ordering fries, we decided to go with the GF calamari ($8). It was very lightly battered probably in corn flour and was cooked to perfection. It was soft and juicy inside so I felt like I could eat a lot of it. One cup was definitely not enough for two people. Their malted vanilla shake ($7) seemed slightly on the expensive side as it wasn’t very big. It was however quite malty and tasty. I liked their salted caramel shake better though. 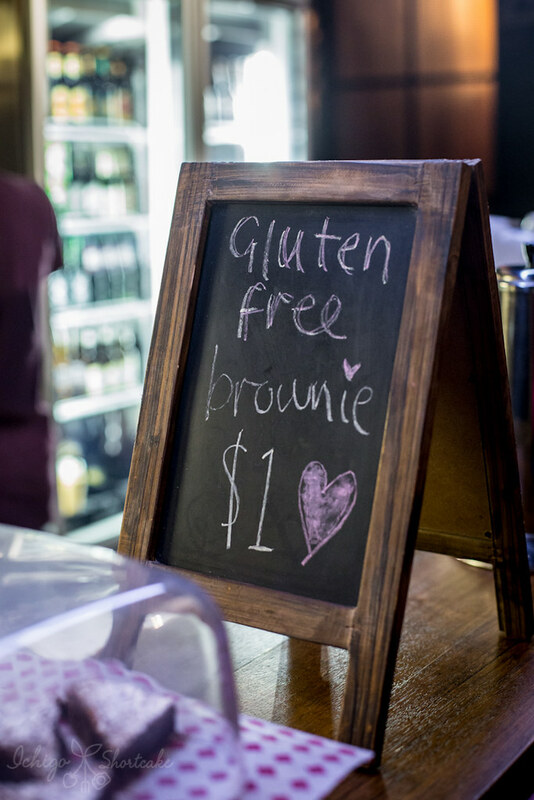 A perfect end to our meal would be this $1 slice of gluten free chocolate brownie. It was so moist and delicious, just what I needed after the burgers. Would I go back? Of course I would. Although there are many burger joints around, not all of them make medium rare beef patties that are well seasoned and oh so juicy. 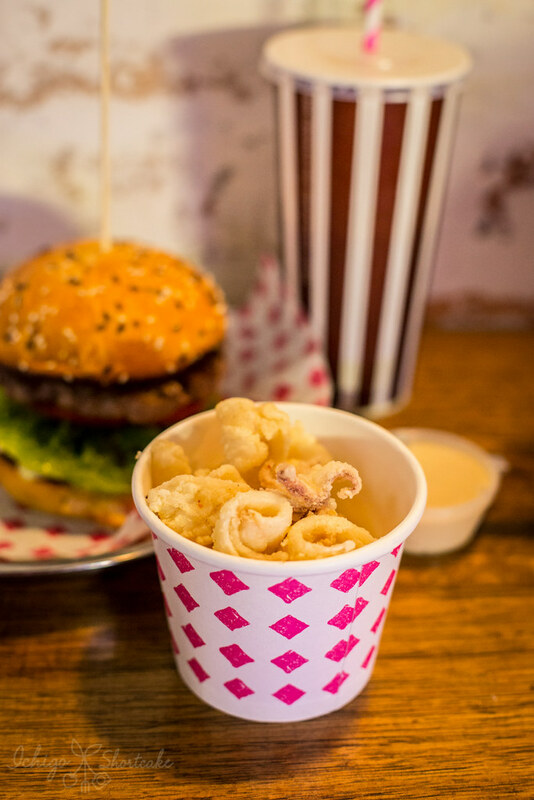 Coupled with interesting ingredients and friendly service, it’s a great destination for a good burger fix. A lovely place! That burger looks fantastic.